Pretty good for casual commander decks. I don't really think of this as a ramp card. It's 5 mana total to get the first land, and you can't even play that land if you've already played one. 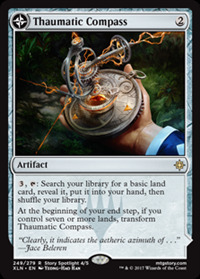 I think a better way to play this is when you can drop it with 6 lands already out from previous turns, and activate it immediately to flip it. It's not a card you build around like Emeria or Valakut. But no one's going to complain about top decking this late-game. A colorless mana sink that thins your deck... which eventually turns into Maze of Ith is good dude. Additionally, recurring the land is just silly.